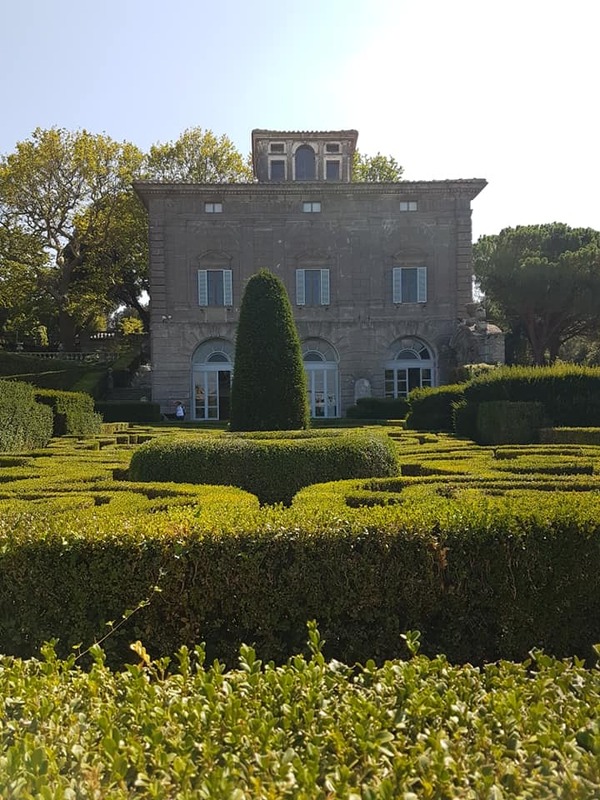 Villa Lante is one of the finest examples of a renaissance garden in Italy. The garden exhibits the aspects we expect from these flamboyant displays of grandeur: geometric, formulaic, and structured. This ‘fountain of the four moors’ is symbolic of the triumph of the human mind over nature. It (apparently) represents the directions of space. Hydraulically fitted jets are used in this feature and throughout the garden to give an extra dimension. 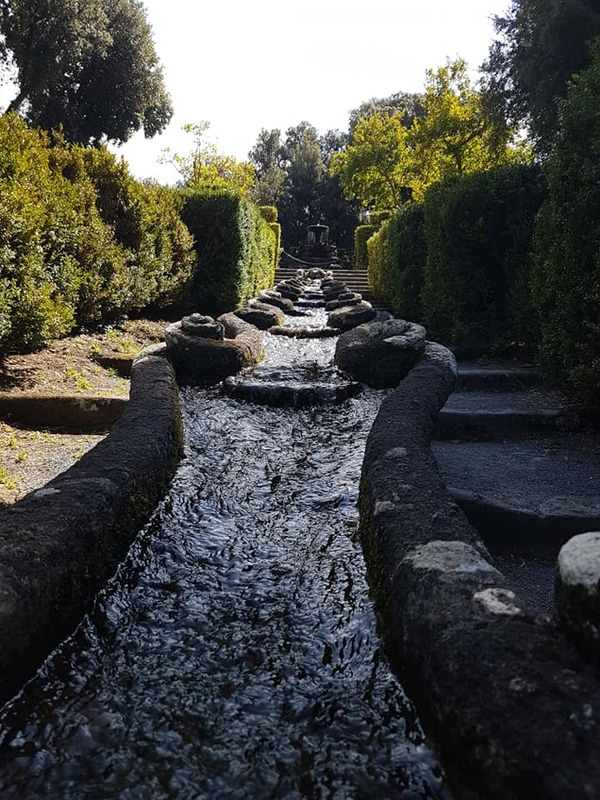 The manipulation of water was understood to be a thing of great skill when these gardens were created so their use was also to exemplify their expertise. Around the fountain, parterres are paired in perfect harmony, showing a symbiotic relationship of formality and precision. To truly appreciate a garden of this style, it is necessary to mention the dimension of height and how it is used to show the full formation of the garden. It is organised and balanced from afar but within it, you can become lost among the plants and lose sight of the garden’s cohesion as a whole. Sadly, the ‘fountain with river gods’ area of the garden was covered in scaffolding, ruining an iconic element of the garden and a view of the whole design. 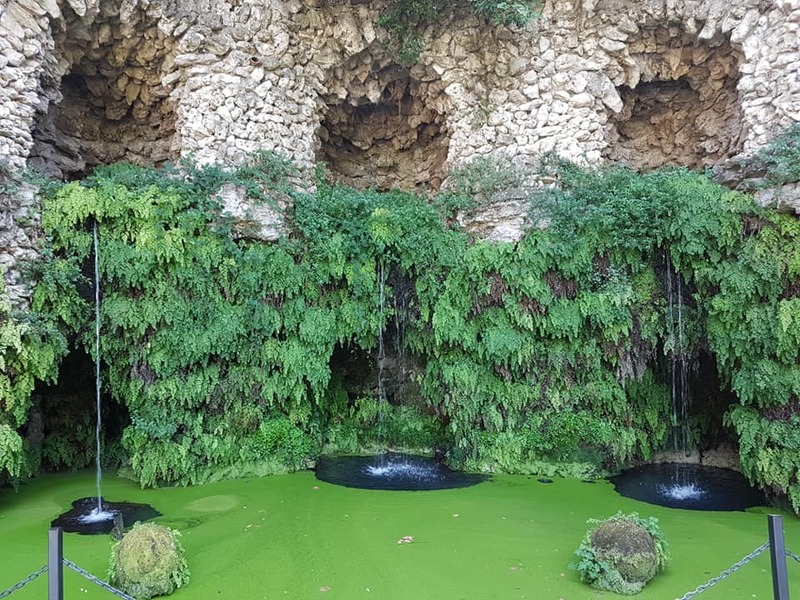 Without sounding negative, one thing I have found with all of the gardens I have visited in Italy is that they are in need of more love and care. For instance, the Plantanus (London Plane Tree) was covered with Odium (powdery mildew) and had damage visible on the trunks. The Buxus (boxwood) had also grown very yellow, damaged and overgrown. Under funding seems to be a global issue that is particularly visually explicit in Italy. A corden (a more elaborate version of a stone trough which has water flowing down a gradient) connects the two terrace levels, balancing the two elements. As such, it is a fine example of decoration with architectural purpose. It flows from the gills of a statue in the form of a shrimp – the emblem of Cardinal Gambara. The garden concludes past the Fontana Dei Delfini (‘Fountain of Dolphins’). Water is a theme throughout the Garden but is shown in the finale in its most natural form. A grotto is a cave, naturally occurring or man-made. With age, ferns begin to fill in the gaps left over time. The trickling water causes liverworts to creep across the rocky terrain. Spheres of blue water are surrounded by a sea of green. Bella! 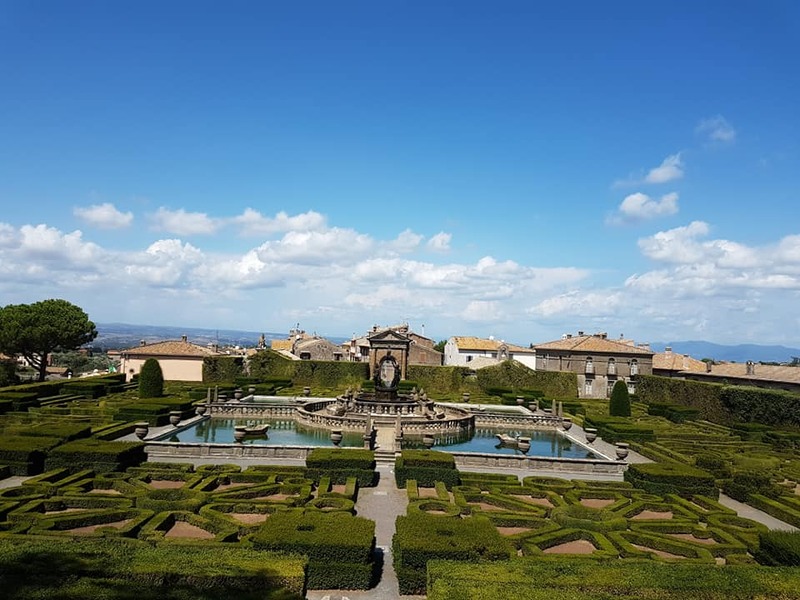 I would recommend that you visit this garden if you have a passion for garden history, Italian gardens or architecture. Villa Lante and Villa d’Este boast the finest renaissance gardens in all of Italy. For students interested in greater depth, the second and third years of plantsmanship at RGBE offer a course on Garden History.